Soak almonds overnight. Peel the skin and grind it alongwith ¼ cup milk to a slightly coarse paste. 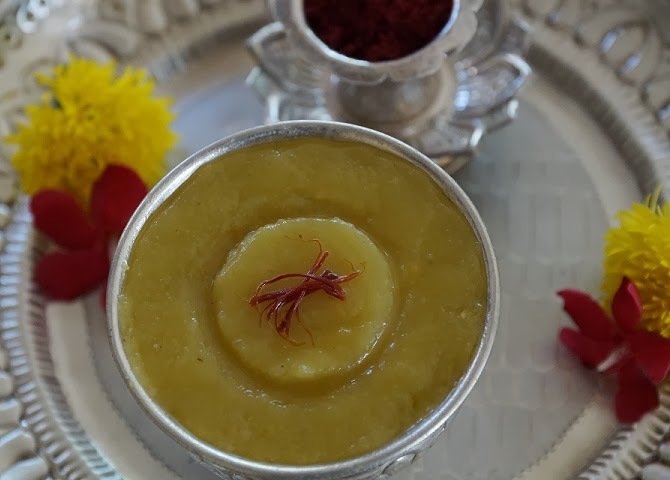 Crush the saffron and add it to 2 tbsp of warm milk alongwith the turmeric powder. Heat the sugar and water in a wide pan until sugar completely dissolves. Now add the badam paste and stir continuously. 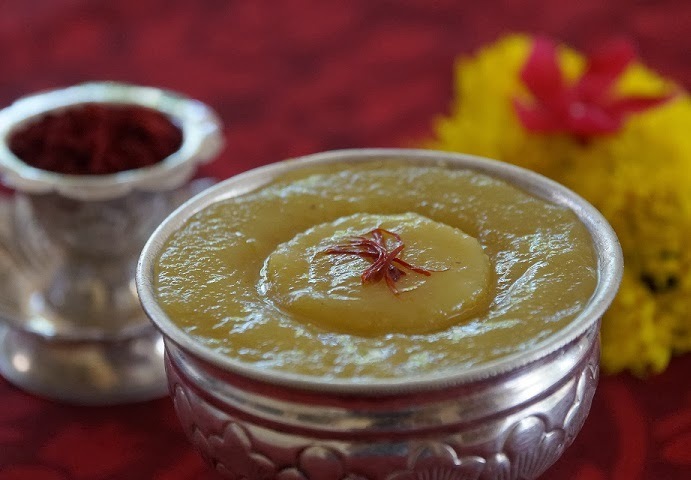 As the paste blends well with the sugar syrup, add the remaining milk, saffron milk, cardamom powder and mix well. Keep stirring continuously while you add ghee at regular intervals. At one point, ghee will be completely absorbed and small white bubbles will start appearing. The halwa will start leaving the sides of the pan now. This is the right consisitency. Switch off the flame. Transfer to a dry container and refrigerate once it cools. This halwa thickens with time. 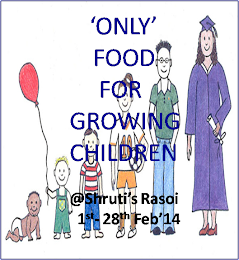 Sending this to simply food's let's cook sweet treats for valentine and only food for growing children at shruti's rasoi started by Pari.